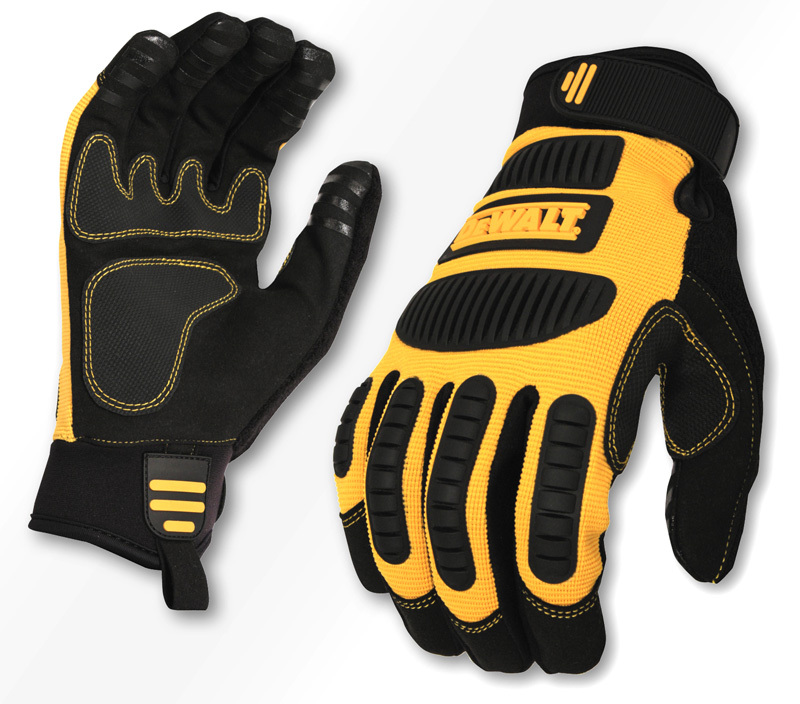 DeWalt DPG780 Gloves Performance Mechanics provides superior grip where you need it most. The impact guards help protect from incidental bumps or scrapes while maintaining flexibility and comfort. These gloves have SecureFit Wrist Closure, Tacky Silicone Fingertip Grips, TPR Impact Guards, PVC Palm & Saddle Overlays and a Durable Rubber Pull Tab. Good gloves for automotive work, power tools, equipment maintenance, etc. Abrasion Resistant and Machine Washable. Available in medium, large and x-large.